This year three Passivhaus projects in the Huddersfield area of West Yorkshire will be opening their doors during the International Passivhaus Open Days on Friday 9th and Saturday 10th November 2018, including our latest Kirkburton Passivhaus project, which is currently under construction. All visits must be booked through Green Building Store. Please either email [email protected] or ring 01484 461705 and ask for Chayley or Camilla. 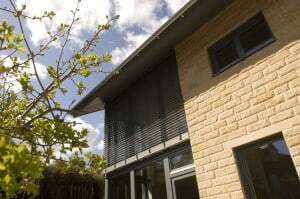 The Denby Dale Passivhaus is a domestic newbuild property which has been occupied for over eight years. It was the first Passivhaus in the UK to be built using traditional British cavity wall construction techniques. The construction team have shared original design detailing developed for the project to the wider construction industry and public, through a range of technical films and resources. Please note: Visitors will be asked to remove their shoes inside the house. 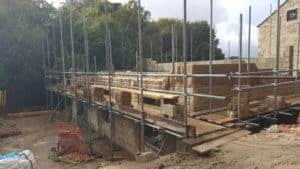 The Golcar Passivhaus is a newbuild cavity wall construction 250m2 three storey 3 bed house which has been designed and built by Green Building Store and has received Passivhaus certification. It is mostly rectangular in form with a small kink in it and a bay window. 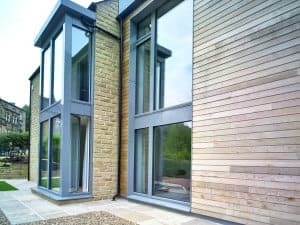 It follows many of the design details of Green Building Store’s first cavity wall Passivhaus – the Denby Dale Passivhaus – but with a few notable differences/ evolutions of the original detailing. The project was a UK Passivhaus Awards 2016 Finalist. This year, we are offering the chance to visit a Passivhaus under construction. The Kirkburton cavity wall project is a 120 m2 rectangular house aiming for the Passivhaus standard. Booking required and spaces are limited. The site visits are ideally suited to building professionals and selfbuilders whose projects are close to the construction stage. Priority will be given to building profesionals, with a waiting list. Safety clothing for the visit will be provided. Visits will last 1 hour. 9am – Extra time slot, due to popular demand! This year we’re offering a series of FREE talks on Passivhaus on both days from our Heath House Mill base at Bolster Moor near Huddersfield. A range of Green Building Store products suitable for Passivhaus projects will be on display at Green Building Store’s HQ at Heath House Mill, Golcar, which is located nearby the Passivhaus projects. Our technical experts will be on hand to demonstrate products and offer advice on your project. 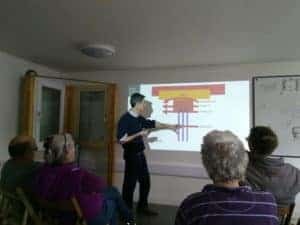 The open days are part of an annual International Passivhaus open day scheme, which allows people to experience the quality and comfort of Passivhaus buildings for themselves. 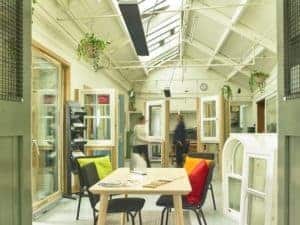 Many other Passivhaus buildings will be open throughout the UK, with a range of other projects now available to view in Yorkshire.